Is there an opposite to "cheese?" Starting Jan. 16, 2013, Instagram is implementing new terms of service all users must agree to in order to use the photo sharing site's offerings. Between all the legal jargon, rules and warnings, Instagram slipped in a new "right," one that isn't written out in its current terms and an addition aimed at earning the social service some moolah. "To help us deliver interesting paid or sponsored content or promotions, you agree that a business or other entity may pay us to display your username, likeness, photos (along with any associated metadata) and/or actions you take, in connection with paid or sponsored content or promotions, without any compensation to you." Translated, Instagram can use Insta-info you've publicly posted to generate ads on the site to make money while you won't see a cent. As the New York Times pointed out, these new terms apply to those who don't have an Instagram account but end up on the site through a friend's photo that is shared. The fact that metadata - which, among other bits, can contain location-based information - can be shared to create user-specific ads, and these new terms are a marked departure from the current ones. Instagram, like its parent company Facebook, needed to find a source of revenue for its free services, so these changes, while unsettling, aren't surprising. While we'd like to stop with this development, the fact you can star in an ad (and not even know it) isn't the only change coming in January. "We may share 'User Content' and your information (including but not limited to, information from cookies, log files, device identifiers, location data and usage data) with businesses that are legally part of the same group of companies that Instagram is part of..."
The updated policy, according to an Instagram blog post, helps it "function more easily as part of Facebook by being able to share info between the two groups." This, the post assured, will help with spam filtration, system and reliability problem detection and better feature building. Of course, now Facebook advertisers will have access to Instagram users data, allowing for hyper-targeted marketing efforts and more bang for the social media buck. Underage users aren't exempt from the changes - by agreeing to the terms, those under-18 acknowledge a parent or guardian is aware of the terms and that the minor's name, username, likeness and/or photos (with associated metadata) is up for grabs. "You acknowledge that we may not always identify paid services, sponsored content or commercial communications as such." 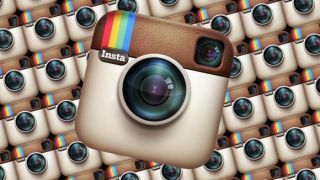 TechRadar asked Instagram for insight into the changes and will update this story if and when the company responds.